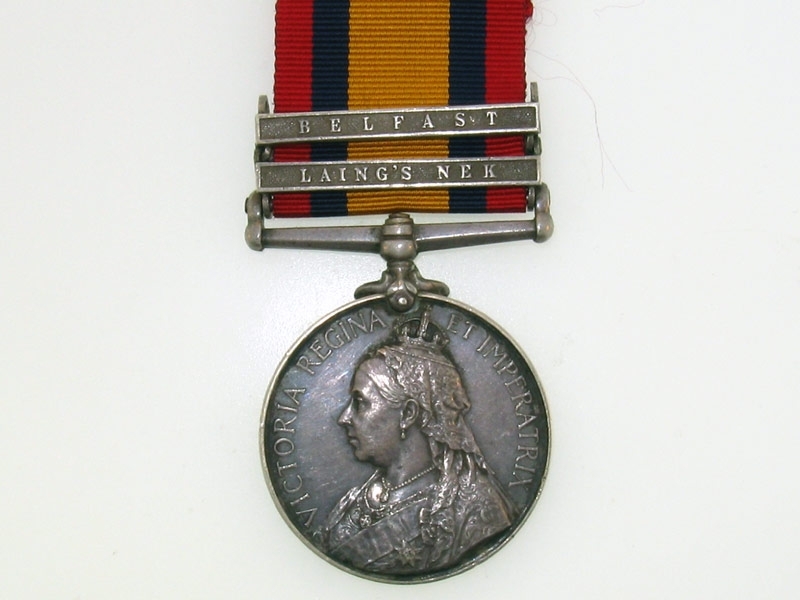 Two clasps: Laing?s Nek; Belfast; impressed (9586 Pte. 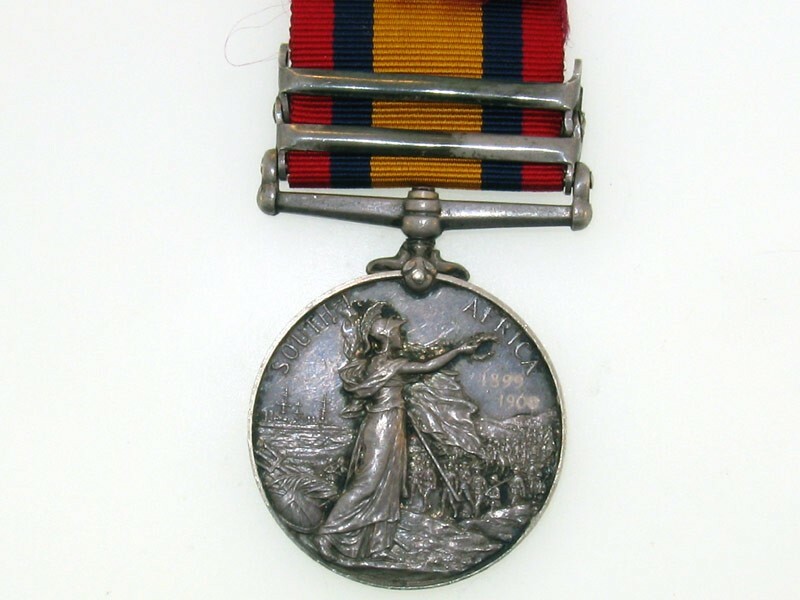 D. Shaw, Rifle Brigade. ), ghost dates on reverse, nearly extremely fine.